Real Estate Attorneys are primarily concerned with the transfer of real property (buildings, houses or vacant land). The transfer of real property involves a search of the public records to determine what the seller owns and what liens, if any, attach to the property. It also involves the transfer and holding (escrow) of large sums of money. Commercial Litigation encompasses a broad area of legal practice. Typically, when businesses or individuals are in a dispute involving money or real estate, a Commercial Litigator is the best attorney to work with. An experienced Commercial Litigator can make the difference in winning or losing your case. The real estate market crash of 2008 left many homeowners underwater. Unable to sell their home or refinance the mortgage, many homeowners have faced foreclosure. A Foreclosure Attorney is crucial: you will need to defend the case for a sufficient amount of time to fulfill your exit strategy, by way of a loan modification or a short sale. Edward M. Shahady is a seasoned attorney with vast experience in real estate, business law and litigation. 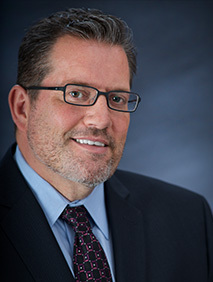 He has litigated hundreds of cases, performed thousands of real estate closings and assisted numerous businesses with acquisitions, organizational documentation and dispute resolution. Address : One West Las Olas Blvd.